Upending the conventional wisdom on ticket buying, Sunday is now the cheapest day to purchase plane tickets, with an average of $432, compared to Tuesday’s $497. Tuesdays still have the most frequent price drops, although their average is higher. 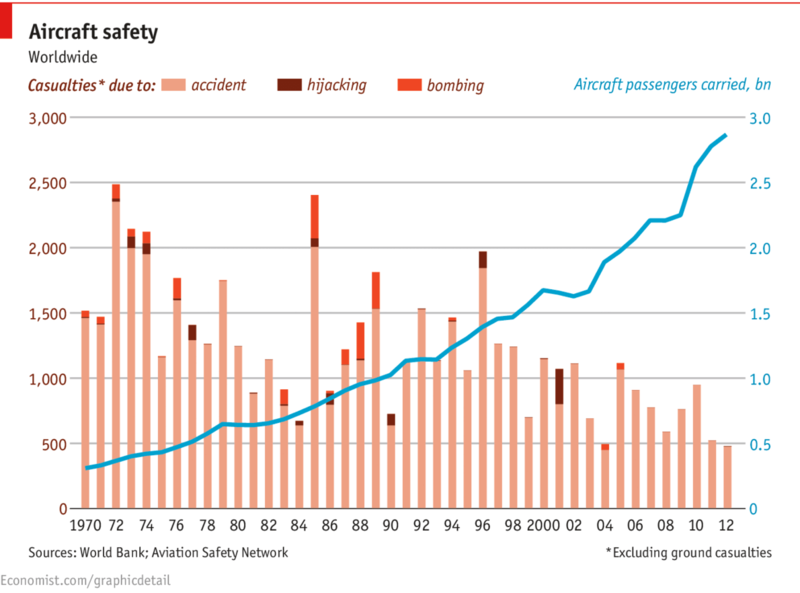 Airplanes continue to get safer both in absolute numbers as well as compared to the number of passengers. In 1970, there ~250 million passengers and 1,500 deaths. Today, there are nearly three billion passengers, but only 500 deaths, or a negligible risk of death.